The time has come to give up the saturday lie-in and get back into the Saturday morning speed session. A light session will be held tomorrow morning (to help ease back into it :)) at 11am at the track. I look forward to seeing an enthusiastic and energetic return from all! Community Games for Athletics in Lexilip will now take place on Wednesday 3rd June. The venue remains the same at the Le Chéile AC running track behind the Amentities Centre. The events will start at 6:00. Julie Boyle and Erica Dixon were competing in the Leinster Schools last week. Julie competed in sprint hurdles, unfortunately it was not her day she was suffering from cramp in her calf and did not make it through to the All-Irelands Schools. Julie is a terrific athlete and I'm sure her school is very proud of her as we are. Erica competed on saturday in very wet and windy conditions, not ideally suited to Javelin. Erica was disappointed with her throws but securred 2nd place and will represent St Wolstans in the All-Irelands on 30th May in Tullamore. Best of luck. Other athletes who completed on the day were Emily Gallagher, Emily just missed out on a place in the final of her 80m as did Alice Flanagan. Catherine Jones made her final and was just outside the medals, next time Catherine!. Conor Kiely competed in the Boys U13 High Jump, Long jump and the 200m, I believe he was very relieved that he was not down to compete in the walk! Well done to all the athletes and many congratulations on your achievements. The following are the events that will take place for each category. Events will start at 12pm sharp and warm-up will take place from 11am. The venue for this event is Naas AC track. Celbridge Athletic Club were hosts to the first round of the championships, 28 Le Chéile athletes competed and they were cheered on by their parents and coaches. A big thank you to Rob Harris and Anne Kiely for taking photos on the day. Girls U9 events we had Carrah Hayes and Lauren Boyle both girls put in great performances with Carrah making the 80m final. Boys U9 - Josh Dunne and Cian O'Regan, both boys had great 10m and made it through to the final, Josh was 4th in the final with Cian just behind him. Girls U10 - Kate Harris, Kate had a great 100m heat and was 4th in her final. Girls U11 - Fiana Hayes, Roisin Forde and Emily Gallagher competed in 200m,Ljump and ball throw. Well done girls. Boys U11 - Niall O'Sullivan, Niall won his 80m heat and was 4th in a very competitive final with nothing between the top finishers, however he ran a fantastic 600m where he claimed Gold. Boys U12 - Patrick Flanagan, Conall Hayes and Paul MaGuire, these boys had very solid performances in the 200m heats and all boys made it through to the final, much to his disappointment Conall had to dash off and was unable to compete in his final , which resulted in Patrick being 4th, with Paul finishing hot on his heels. Girls U12 - Niamh Kane, Niamh was 6th in a very fast 80m final and also competed in the SPutt. Girls U13 - Aoife McMahon made her championships debut - well done Aoife. Boys U14 - Louis Hartnett, Tadhg Forde and Sean Kelly, Tadhg and Sean made theirchampionship debut, both boys put in great performances and enjoyed their experience. Louis had a great day he was 2nd in the Long Jump and was 3rd in the 600m, so Silver and bronze for Louis. Boys U15 - Conor kelly and Ciaran Fagan both competed in Shot Putt, these lads had a great competition and took silver and bronze respectively. Girls U17 - Saw Julie competing out of age in the sprints, Julie picked up a Bronze medal, Julie won silver in the girls U18 high jump. Girls U18 - Erica Dixon, Erica won Gold in the high jump, Erica also competed out of age in the U19 800m and was 3rd. Girls U19 - Aine O'Connor, Aine in a great race won Gold in the 100m and Aine also won Gold in 1500m. The relays are always last and after a long day the U12 boys stepped upto the mark, the team was made up of Naill O'Sullivan, Patrick Flanagan, Paul McGuire and Luke Hartnett(thanks for saving the day). Patrick got off to a flying start and passed to Luke who gave it his best shot passing to Paul, Paul dug deep and passed to Niall in a very tight finish the boys were pushed out of the medals into 4th - the boys were cheered on by their parents and all the other Le Chéile athletes. Next to take up their position were the Inter Girls relay team (2x1x1x4) Julie Boyle, Erica Dixon, Lisa Dixon and Aine O'Connor, there was fierce competition from St Cocas and Celbridge, St Cocas won the event, Le Chéile in second (very respectable, thanks for redeeming me and making me look good) with Celbridge 3rd. John O'Regan will compete in the 'North Face 100', his second 100k ultra marathon, this Saturday (16th May). John has travelled to the Blue Mountains in Australia for this event. 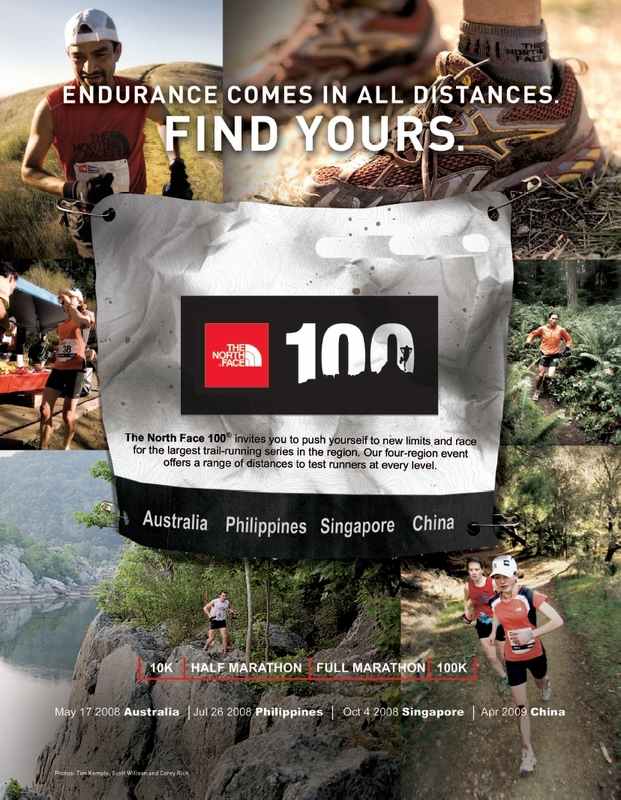 The North Face 100 is the pinnacle of trail runs in Australia. A challenging, spectacular course through some of Australia's most iconic landscape of the Blue Mountains. 100km was never meant to be easy and this course will certainly test everyone. But it will bring great rewards, phenomenal views, and the best tracks in the Blue Mountains. For more information click here. Best of luck to John! The results of the 2009 Leixlip 5k Road Race are available by clicking here. Our friends in RacePix365.com have been kind enough to host and tag all the photos from the race. Thanks again to Rob Harris our photographer for once more capturing the essence of the event. Well done Rob! Click here and enter you bib number to see pictures we may have taken of you during the race. Provisional date for Leixlip 5k 2010 is 8th May. Its never to early to plan for the next Leixlip 5k! It was the first time we ran the race in May, the first time that we offered online booking and a brand new 5k course. It is was with much trepidation that we watched the strong winds and driving rain set the scene for what should have been a washout of a race. There was a real chance that many on their way to Leixlip would have turned their cars and headed home, not being mad enough to brave such elements. But it was not to be. From 9:30 when the first runners arrived to register, through the storm at 10:00 right up to 10:50 serious runners, joggers and walkers kept coming. The competitors came, it was now up to us to give them a well organised event. Over 160 runners and walkers gathered outside the Leixlip Amenities centre and the mix of serious club runners and novice first-timers created an electric mix of excitement and expectation. The field headed off at a very fast pace out the Maynooth road in what was now completely dry conditions. Many were surprised as they turned the corner to see the size of the hill that greeted them. There was a bunch of about 10 runners that took the charge up the hill, but the lead pack which included the eventual first three men home, took full advantage of the long decline through the 1km mark to break away. The race followed a flat course for the next 2.5km until the turn at the traffic lights on station road. From here there is a gradual climb up to the 4km mark at Louisa Bridge, which although gradual certainly presented a challenge for those trying to match the pace of the lead runners. The last 800m of the course took the runners into the grounds of the Amenities Centre along the side of the football pitches to the ultimate finish on the Le Chéile 400m grass track. There was a very exciting finish with Eoghan McGinley and Dwane Farrelly battling it our over the last 500m. Eoghan let the pair onto the track ahead by a few meters and Dwane put up a brave fight to catch up but failed to catch McGinley. The race was ultimately won by a small 2 second margin by Eoghan McGinley (Cramford AC) in a very respectable time, given the windy conditions, of 16:05. It was truly a race to the finish with Dwane Farrelly (Tinryland AC) begin beaten into second place (16:07) and Peter Mooney a few meters behind finishing in 16:13. The ladies race was won by Caitriona Jennings (WSAF Rathfarnham) in a personal best setting time of 17:23. Jean Wilson (Sportsworld) took second place with a time of 18:47 and Kathleen Horgan (Sportsworld) came home in third with a time of 19:26. Thanks to all who supported the event and also those who helped make it such a success and of course our wonderful hosts in the Leixlip Amenities Centre. Here’s to a bigger and better event next year.